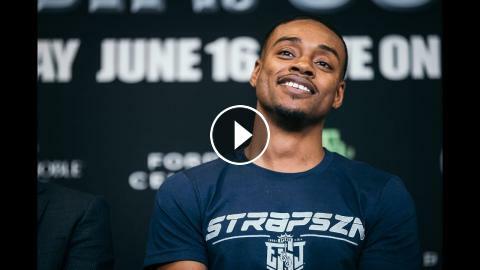 Errol Spence Says He is the Best Welterweight in the World - Unbeaten IBF welterweight world champion Errol Spence Jr. (23-0-0, 20 KOs) defends his belt against top-rated contender Carlos Ocampo (22-0-0, 13 KOs) live on Showtime this Saturday, June 16th from Ford Center at The Star in Frisco, Texas in an event presented by Premier Boxing Champions. Today the boxers hit the scales and our man Marcelino Castillo was there taking footage of the action. Spence talked after the weigh-in and said he consider himself the "top guy" in his division.